Included in your program fee are a range of day trips and a 3-day excursion which will take you outside Madrid and deepen your social, historical and cultural understanding of Spain. San Lorenzo de El Escorial is in the Sierra de Guadarrama mountains about an hour’s drive from Madrid and well known as a summer retreat for wealthy Madrileños seeking to escape the intense summer heat of the capital for the cooler climate. It is also home to the Escorial a vast palace-monastery complex conceived by King Felipe II in the 16th century. It is both austere and impressive for its vast scale from the outside while the inside houses artworks by Italian and Spanish masters. Includes transportation, entrance fees and services of a local guide. Nestled at the base of the Sierra de Guadarrama, Segovia has a stunning mountain setting. Visit the Alcázar, a romantic medieval castle, and see the impressive Roman aqueduct - the largest and best preserved in the world. Explore the winding streets, beautiful vistas and if there’s time stop in one of the many restaurants serving Segovia’s famous ‘cochinillo asado’ or roast suckling pig cooked in a special oven. Includes transportation, entrance fees and the services of a local guide. Visit the charming medieval town of Toledo to see the 13th century cathedral - an awe-inspiring example of medieval Gothic architecture, the church of Santo Tomé to see El Greco’s masterpiece ‘The Burial of the Count of Orgaz’ and Santa María la Blanca, a beautiful 12th century synagogue whose walls and ceiling exemplify Mudejar architecture at its finest. These visits offer clues to Toledo’s history as the ‘city of three cultures’ when during the Middle Ages it was said that Christians, Muslims and Jews lived side by side in a peaceful coexistence. Enjoy dramatic views from the city’s gorge top location overlooking the Tajo River. The province of Andalucía in the south is quintessential Spain - white washed villages, fields of olive trees and orange tree lined squares. Granada is home to the Alhambra whose name in Arabic translates as ‘the red-fortress’ bringing to mind the color this enchanted palace-fort glows as the sun starts to set. Everything you wanted to know about Spain’s Moorish history is here from the stunning Islamic architecture and intricate interior exemplified in the Palacios Nazaries to the Generalife gardens where elegant pools of water, fountains and patios and courtyards invite you to pause. A UNESCO World-Heritage site and Spain’s jewel in the crown the Alhambra attracts visitors from around the world. Discover the winding streets of the Albaicin neighborhood, the ancient Arab quarter of Granada and explore contemporary Granada’s shops, bars and tapas restaurants before returning to Madrid. Includes transfers, accommodation, breakfasts, local guides, entrance to the main monuments and the services of AIFS staff to accompany you. Begin your semester with a 2-night visit to London en-route to Madrid. This will allow you to relax, recover from jet lag and get to know your fellow classmates while touring England’s capital. Includes accommodations, breakfast, sightseeing tour and AIFS Tour Manager. Travel from Spain to Tangier, Morocco where you will have lunch in a typical Moroccan restaurant. Visit the medina and experience the colors, sights and aromas of the souk of Tangier. On day two, after breakfast in the hotel, take a tour of Tetouan including Plaza Moulay El Mehdi, Plaza Hassan I and the Royal Palace. Continue to the Mellah or Jewish neighborhood and to the medina and souks. You will have free time to sample and shop in the crafts, goods and food markets. Continue on to the mountain town of Chaouen where you will enjoy lunch followed by free time for shopping and bartering and a walking tour of the medina. Dinner in the evening will include a show. On the last morning, depart Tangier for the lovely whitewashed coastal town of Asilah. Visit the city medina and walls, Cape Spartel and the caves of Hercules. Then take a camel ride! There will be free time for lunch before departure to the airport. Fee includes round-trip transportation from airport to city center, hotel accommodation (triple rooms), breakfasts, most lunches and most dinners, Tour Manager and local guide in English and excursions as described above. Drinks at dinners or lunches, breakfast on the first day, lunch and dinner on the last day and tips are not included. 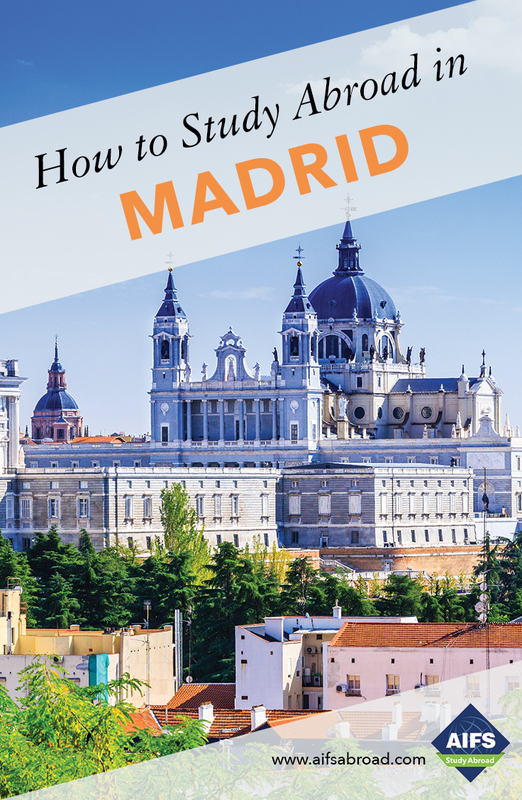 Round-trip flights from Madrid are not included. Students will be advised of which budget flight to book once in Spain. A minimum enrollment of 15 students is required for the tour to run. Please note that if you are not a U.S. citizen traveling on an American passport, you may need to arrange a visa to visit Morocco before traveling to Spain.